Republika Srpska (Serbian Cyrillic: Република Српскa, [repǔblika srpska]) is one of two constitutional and legal entities of Bosnia and Herzegovina, the other being the Federation of Bosnia and Herzegovina. The entities are largely autonomous. The administrative centre is Banja Luka. In Serbo-Croatian, Republika Srpska means "Serb Republic". The second word is a nominalized adjective derived by adding the suffix -ska to srb-, the root of the noun Srbin, meaning Serb. The -ps- sequence rather than -bs- is a result of voicing assimilation. Although the name Republika Srpska is sometimes glossed as Serb Republic or Bosnian Serb Republic, and the government of Republika Srpska uses the semi-Anglicized term Republic of Srpska in English translations of official documents, the Constitution of Bosnia and Herzegovina originally written in English as well as western news sources such as the BBC, The New York Times, and The Guardian generally refer to the entity as the Republika Srpska. In a July 2014 interview for Press, Dragoslav Bokan claimed that he, Goran Marić, and Sonja Karadžić (daughter of Radovan Karadžić) came up with the name Srpska as requested of them by Velibor Ostojić, then-Minister of Information of the entity. 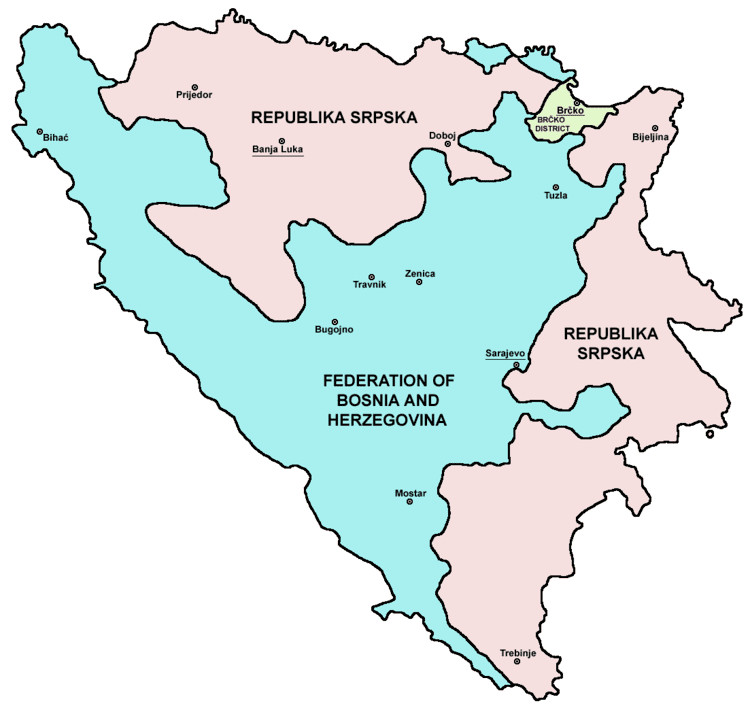 In a session on 14–15 October 1991, the People's Assembly of Bosnia and Herzegovina approved the "Memorandum on Sovereignty", as had already been done by Slovenia and Croatia. The memorandum was adopted despite opposition from 83 Serb deputies belonging to the Serb Democratic Party (most of the Serb parliamentary representatives) as well as the Serbian Renewal Movement and the Union of Reform Forces, who regarded the move as illegal. The Union of Reform Forces soon ceased to exist but its members remained in the assembly as the Independent Members of Parliament Caucus. The assembly undertook to address the achievement of equality between the Serbs and other peoples and the protection of the Serbs' interests, which they contended had been jeopardized by decisions of the Bosnian parliament. 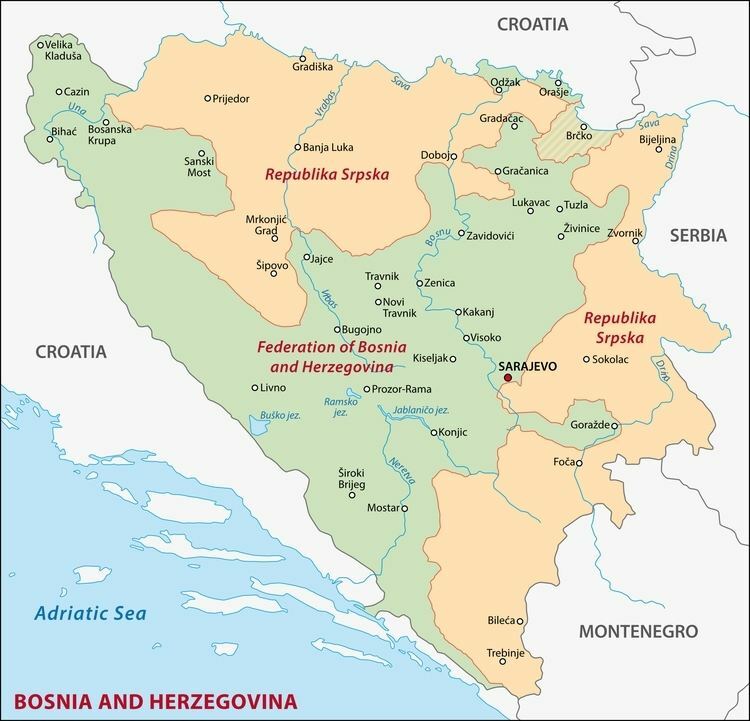 On 9 January 1992, the assembly proclaimed the Republic of the Serb People of Bosnia and Herzegovina (Republika srpskog naroda Bosne i Hercegovine), declaring it part of Yugoslavia. The referendum had a 64% turnout and 92.7% or 99% (according to different sources) voted for independence. On 6 March the Bosnian parliament promulgated the results of the referendum, proclaiming the republic's independence from Yugoslavia. The republic's independence was recognized by the European Community on 6 April 1992 and by the United States on 7 April. On the same day the Serbs' assembly in session in Banja Luka declared a severance of governmental ties with Bosnia and Herzegovina. The name Republika Srpska was adopted on 12 August 1992. The war was ended by the General Framework Agreement for Peace in Bosnia and Herzegovina, reached at Wright-Patterson Air Force Base near Dayton, Ohio, on 21 November and formally signed in Paris on 14 December 1995. Annex 4 of the Agreement is the current Constitution of Bosnia and Herzegovina, recognising Republka Srpska as one of its two main political-territorial divisions and defining the governmental functions and powers of the two entities. The boundary lines between the entities were delineated in Annex 2 of the Agreement. The war in Bosnia and Herzegovina resulted in major changes in the country, some of which were quantified in a 1998 UNESCO report. Some two million people, about half the country's population, were displaced. In 1996 there were some 435,346 ethnic Serb refugees from the Federation in Republika Srpska, while another 197,925 had gone to Serbia. In 1991, 27% of the non-agricultural labor force was unemployed in Bosnia and this number increased due to the war. By 2009, the unemployment rate in Bosnia and Herzegovina was estimated at 29%, according to the CIA's The World Factbook. Republika Srpska's population of Serbs had increased by 547,741 due to the influx of ethnic Serb refugees from the Federation of Bosnia and Herzegovina and the former unrecognised state of the Republic of Serbian Krajina in the new Republic of Croatia. In Eastern Bosnia, Bosnian Serbs besieged the town of Srebrenica, among others. Srebrenica was declared a UN "Safe Area" in 1993 and it served as an enclave for Muslim refugees for the final years of the Bosnian War. In the meanwhile, Bosniaks and Croats committed atrocities against the Serbian population in the villages surrounding the town. In the middle of July 1995, more than 8,000 Muslim Bosniaks, mainly men and boys, in and around the town of Srebrenica, were killed in what became known as the Srebrenica massacre. As of 2008, 40% of Bosniaks and 8.5% of Croats had returned to Republika Srpska, while 14% of Serbs who left their homes in territories controlled by Bosniaks or Croats, also returned to their pre-war communities. In the early 2000s, discrimination against non-Serbs was alleged by NGOs and the Helsinki Commission. The International Crisis Group reported in 2002 that in some parts of Republika Srpska a non-Serb returnee is ten times more likely to be the victim of violent crime than is a local Serb. The Helsinki Commission, in a 2001 statement on "Tolerance and Non-Discrimination", pointed at violence against non-Serbs, stating that in the cities of Banja Luka and Trebinje, mobs attacked people who sought to lay foundations for new mosques. Organizations such as the Society for Threatened Peoples, reporting to the United Nations Human Rights Council in 2008, have made claims of discrimination against non-Serb refugees in the Republika Srpska, particularly areas with high unemployment in the Drina Valley such as Srebrenica, Bratunac, Višegrad, and Foča. The Inter-Entity Boundary Line (IEBL) between Bosnia and Herzegovina's two entities essentially follows the front lines at the end of the Bosnian War with adjustments (most importantly in the western part of the country and around Sarajevo) defined by the Dayton Agreement. The total length of the IEBL is approximately 1,080 km. The IEBL is an administrative demarcation uncontrolled by military or police and there is free movement across it. 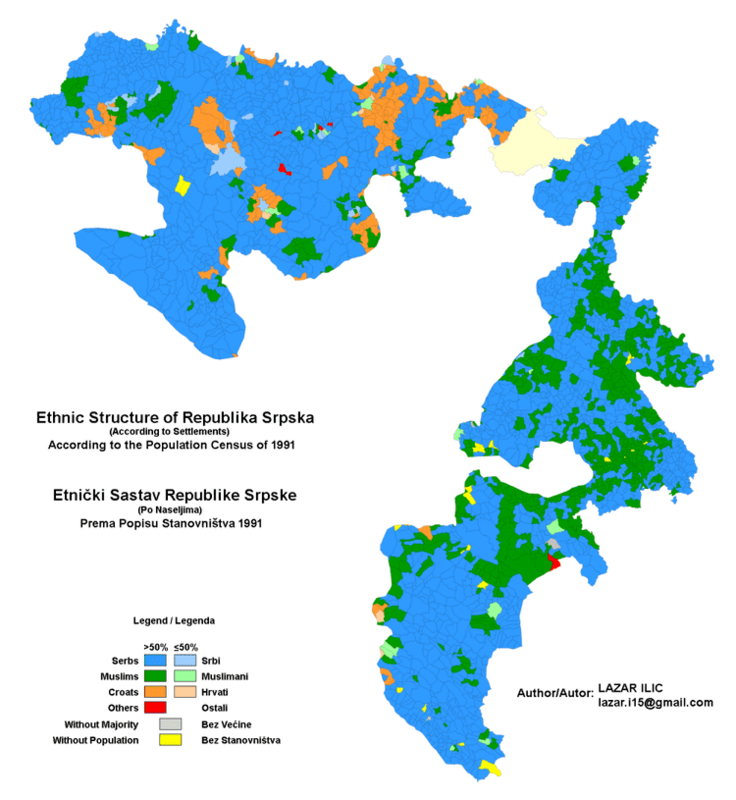 Under the Law on Territorial Organization and Local Self-Government, adopted in 1994, Republika Srpska was divided into 80 municipalities. After the Dayton Peace Agreement the law was amended to reflect changes to borders: it now comprises 63 municipalities. The Dinaric Alps dominate the western border with Croatia. Mountains in Republika Srpska include Kozara, Romanija, Jahorina, Bjelašnica, Motajica and Treskavica. 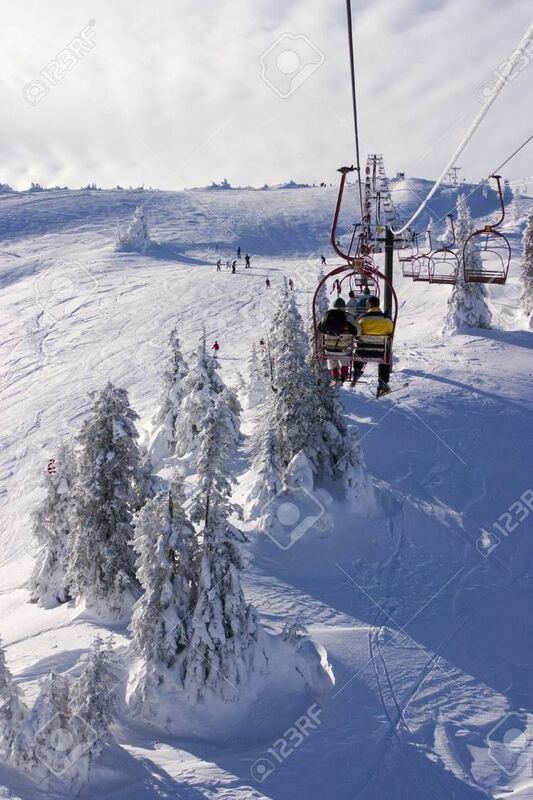 The highest point of the entity is peak Maglić at 2,386 m, near the border with Montenegro. Most rivers belong to the Black Sea drainage basin. The principal rivers are the Sava, a tributary of the Danube that forms the northern boundary with Croatia; the Bosna, Vrbas, Sana and Una, which flow north and empty into the Sava; the Drina, which flows north, forms part of the eastern boundary with Serbia, and is also a tributary of the Sava. Trebišnjica is one of the longest sinking rivers in the world. It belongs Adriatic Sea drainage basin. Skakavac Waterfall on the Perućica is one of the highest waterfalls in the country, at about 75 metres (246 feet) in height. The most important lakes are Bileća Lake, Lake Bardača and Balkana Lake. In Republika Srpska are located two national parks, Sutjeska National Park and Kozara National Park, and one protected nature park, Bardača. Perućica is one of the last remaining primeval forests in Europe. The first post-war census was the 2013 population census in Bosnia and Herzegovina, earlier figures are estimates. There has been a controversy around who is counted in the population census. The first row reflects the total population present in Republika Srpska, while the second row includes additional people who live and work abroad. The currency of Republika Srpska is the Bosnia and Herzegovina convertible mark (KM). It takes a minimum of 23 days to register a business there. Gross domestic product (PPP) was estimated in 2010 at about US$7,895 per capita, but growth in the particular area was measured as being the highest in Bosnia, with 6,5%. An agreement on strategic partnership has been concluded between the Iron Ore Mine Ljubija Prijedor and the British company LNM (a major steel producer, now part of ArcelorMittal). Yuzhuralzoloto Gruppa Kompaniy OAO from Russia signed a strategic partnership with the Lead and Zinc Mine Sase, in Srebrenica. Recent foreign investments include privatisation of Telekom Srpske, sold to the Serbian Telekom Srbija for €646 million, and the sale of the petroleum and oil industry, based in Brod, Modriča and Banja Luka, to Zarubezhneft of Russia, whose investment is expected to total US$970 million in coming years. Since 2001, Republika Srpska initiated significant reforms in the sector of the tax system, which lowered the tax burden to 28.6%, one of the lowest in the region. The 10% rate of capital gains tax and income tax are among the lowest in Europe and could theoretically stimulate foreign investment, and there are no limits on the amount of earnings. Increasing the number of taxpayers and budgeted incomes, and creating a stable fiscal system, were necessary for further reforms in the fields of taxation and duties; this area is a priority goal of the RS authorities. VAT has been introduced in 2006. These tax advantages have led to some companies moving their business to RS from the other entity. According to its constitution, Republika Srpska has its own president, people's assembly (the 83-member unicameral People's Assembly of Republika Srpska), executive government (with a prime minister and several ministries), its own police force, supreme court and lower courts, customs service (under the state-level customs service), and a postal service. It also has its symbols, including coat of arms, flag (a variant of the Serbian flag without the coat of arms displayed) and entity anthem. The Constitutional Law on Coat of Arms and Anthem of the Republika Srpska was ruled not in concordance with the Constitution of Bosnia and Herzegovina as it states that those symbols "represent statehood of the Republika Srpska" and are used "in accordance with moral norms of the Serb people". According to the Constitutional Court's decision, the Law was to be corrected by September 2006. Republika Srpska later changed its emblem. Although the constitution names Sarajevo as the capital of Republika Srpska, the northwestern city of Banja Luka is the headquarters of most of the institutions of government, including the parliament, and is therefore the de facto capital. After the war, Republika Srpska retained its army, but in August 2005, the parliament consented to transfer control of Army of Republika Srpska to a state-level ministry and abolish the entity's defense ministry and army by 1 January 2006. These reforms were required by NATO as a precondition of Bosnia and Herzegovina's admission to the Partnership for Peace programme. 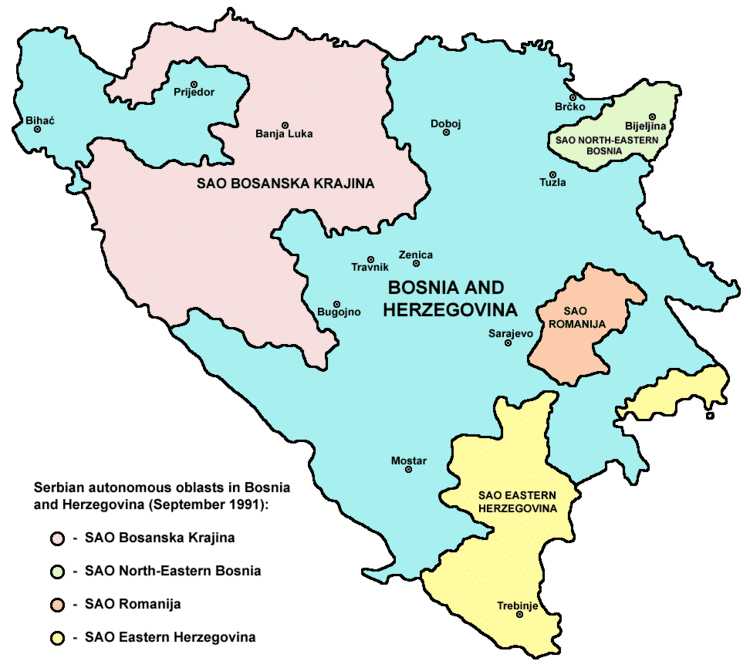 Bosnia and Herzegovina joined the programme in December 2006. In September 2006, Republika Srpska officials signed a "special ties agreement" with Serbia aimed at promoting economic and institutional cooperation between Serbia and Republika Srpska (RS). The accord was signed by Serbia's President Boris Tadić and Prime Minister Vojislav Koštunica, former RS President Dragan Čavić, and RS Prime Minister Milorad Dodik. Tadić and Koštunica, accompanied by several ministers and some 300 businessmen, arrived in Banja Luka on two special planes from Belgrade, in what was seen as the biggest-ever boost to strengthening ties in all spheres of life between the Republika Srpska and Serbia. The Serbian Komercijalna banka and the Dunav osiguranje insurance company opened branches in Banja Luka and the Serbian news agency Tanjug also inaugurated its international press center in Banja Luka. In February 2009, Republika Srpska opened a representative office in Brussels. While European Union representatives were not present at the ceremony, top Republika Srpska officials attended the event, saying it would advance their economic, political and cultural relations with the EU. This notion has been strongly condemned by Bosniak leaders, saying that this is further proof of Republika Srpska distancing itself from Bosnia and Herzegovina. The president of Republika Srpska, Rajko Kuzmanović, told reporters that this move did not jeopardise Republika Srpska's place within Bosnia and Herzegovina. He added that Republika Srpska merely used its constitutional right "to open up a representation office in the center of developments of European relevance". Republika Srpska maintains official offices in Belgrade, Moscow, Stuttgart, Jerusalem, Thessaloniki, Washington D.C., Brussels, and Vienna. According to the Law on Holidays of Republika Srpska, public holidays are divided into three categories: entity's holidays, religious holidays, and holidays which are marked but do not include time off work. The entity holidays include New Year's Day (1 January), Entity Day (9 January), International Workers' Day (1 May), Victory over Fascism Day (9 May) and Day of the General Framework Agreement for Peace in Bosnia and Herzegovina (21 November). Religious holidays include Christmas and Easter according to both the Julian and the Gregorian calendars for, respectively, Serbian Orthodox Christians and Roman Catholics, as well as Kurban Bajram and Bajram for Muslims. Holidays which are marked but do not include time off work include School Day (the Feast of Saint Sava, 27 January), Day of the Army of the Republika Srpska (12 May), Interior Ministry Day (4 April), and Day of the First Serbian Uprising (14 February). The most important of the entity holidays is Dan Republike, which commemorates the establishment of Republika Srpska on 9 January 1992. It coincides with Saint Stephen's Day according to the Julian calendar. The Orthodox Serbs also refer to the holiday as the Slava of Republika Srpska, as they regard Saint Stephen as the patron saint of Republika Srpska. The holiday has therefore a religious dimension, being celebrated with special services in Serbian Orthodox churches. Republika Srpska does not recognize the Independence Day of Bosnia and Herzegovina (1 March). The oldest and largest public university in Republika Srpska is University of Banja Luka established in 1975. The second of two public universities in Republika Srpska is University of East Sarajevo. After the end of the Yugoslav wars several private institutions of higher education were established, including: American University in Bosnia and Herzegovina, Slobomir University and University Sinergija. The Academy of Sciences and Arts of the Republika Srpska is the highest representative institution in the Republika Srpska of science and art founded in 1996. National and University Library of the Republika Srpska is a national library, located in Banja Luka. The Museum of Contemporary Art (MSURS) houses a collection of Yugoslav and international art and is located in Banja Luka.